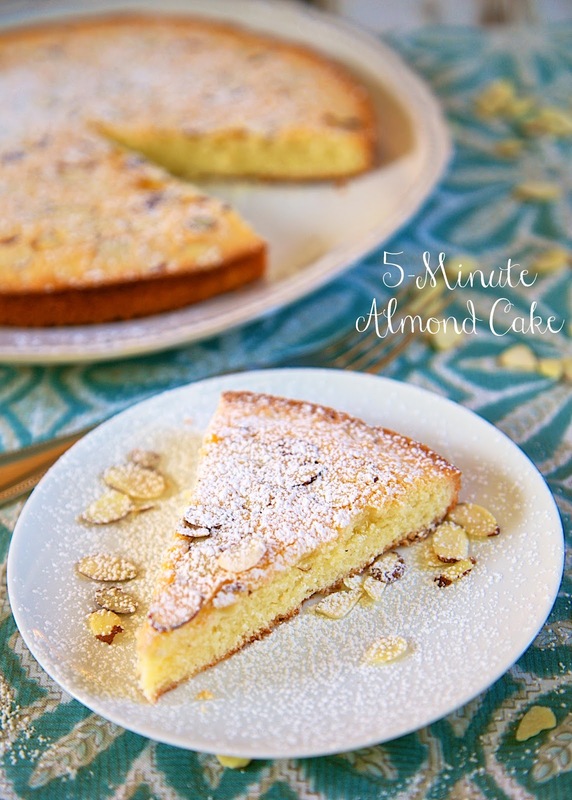 5-Minute Almond Cake Recipe - quick and delicious almond cake - only takes 5 minutes to make! It was ready before the oven preheated!! Great with a nice cup of coffee. I got this recipe from my Mom. She gave it to me when I was at her house a few months ago. I finally got around to making it, and WOW! It was really good and super simple to make. 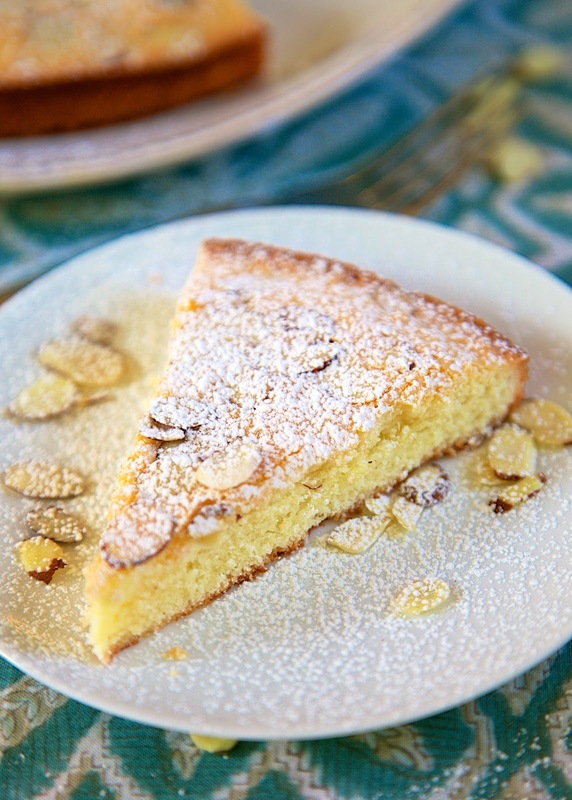 This is called 5-Minute Almond Cake because it only takes 5 minutes to make. It was ready to go in the oven before it finished preheating. The cake isn't super sweet (which is probably why I really liked it). It has lots of great almond flavor. I especially loved the sliced almonds on top! The cake goes wonderfully with a nice cup of coffee or tea. Preheat the oven to 350 degrees. Lightly grease a 9-inch round cake pan, set aside. Whisk eggs and melted butter. Stir in flour, sugar. and almond extract, mixing well. Pour batter into cake pan and sprinkle with sliced almonds. Bake for 25-35 minutes, until a toothpick comes out clean. Cool and sprinkle with powdered sugar. Is the flour self-rising or all-purpose? Sounds really good - all purpose flour? Looks and sounds good. I'm curious though....why is this called 5 minute almond cake when it takes more than half an hour? Seems delicious; but I'll Substitute the almond extract with grounded almond, tastes better. I toasted the almonds before sprinkling on top, and adding baking powder also. In saying that I believe this is an awesome recipe!!! Good job! !